Are you planning a visit to a new baby in your life? While we are sure that the new parents want to share their joy, visitors can sometimes be a source of stress. We know our readers don't want to be the kind of visitors who parents would rather avoid. So in this post, we share some tips to make your new-baby visit a more positive experience for everyone. 1. Visit only when invited. New babies are exciting for friends and family and everyone will want to rush in to see the new little bundle of joy. That means that exhausted, confused, and stressed new parents may be dealing with a parade of visitors even before they leave the hospital. Of course, they want you to see their baby as soon as possible but unless you've been specifically asked to come to the hospital, wait until the baby gets home. If you haven't heard from the happy mom or dad after a few days at home, connect with them in an unobtrusive way (isn't technology wonderful?) and ask when you might bring a meal or run an errand for them. If you don't hear back, don't be offended and don't drop in. Give it a few days and try again. 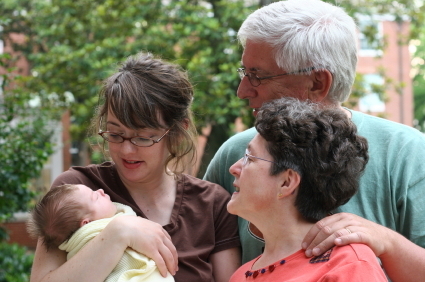 New parents love to proudly show off their babies but they are not likely to be ready for long visits. Unless you're asked to help with the baby while the parents nap (and I hope you are), keep your visit to an hour or less. When you arrive, tell the parents you want them to rest and that you are staying only a short time. If you really want to help, several short visits spread over a few days are easier on parents than one long one. If you get a chance to hold the baby, remember that a little stimulation goes a long way with newborns. Watch for disengagement cues and do your best to make sure that the baby doesn't get overstimulated. 3. Don’t bring a crowd. Hospital rooms are not designed for large groups, too many people in a hospital room can be tough on babies, moms, and medical staff. If the parents have asked you to visit in the hospital, plan to wait in the lobby so they can keep visitors to no more than 2 or 3 adults at once. Common sense should be used in deciding whether or not to bring children to the hospital. Give the parents some time between groups of visitors and make sure that you watch out for mom, dad, and baby so they don't get overtired. The baby's parents may think it is rude to ask visitors to leave, so it will be up to you to be sensitive to their needs. Once home, short visits that include the whole family may be fine but the bigger the group, the shorter the visit should be. 4. Genuinely offer to help in specific concrete ways. All new parents need help with everything from meals to dishes to laundry to mowing the lawn. If you show up and offer to help in a general way, it is likely that the parents will be too tired to figure out what you can do. If they are loyal readers, they would have organized all their helpers before the baby was born. But if not, you can make things much easier for them if you offer specific ways to help. So, don't ask "how can I help?" Say, "After I set the table for the food, I'd like to get those dishes done for you and then water the plants. Is that ok?" 5. Don’t add more work. We've heard stories from parents who end up with 20 people in their living rooms two hours after they get home from the hospital. The TV gets turned on and everyone settles in for a game. New moms and dads or their closest supporters end up getting snacks and drinks for everyone. This is an extreme example but it is easy for parents to get into "host" mode and offer to entertain their guests. Don't let this happen to your loved ones. New parents need support, not more work. Don't bring food that requires complicated preparation or lots of dishes to serve, don't bring the baby gifts that require complicated set up or clean up, and don't assume that the new family wants to host a party. We hope that these tips help you become the most welcome visitor to the new baby in your life. If you are, you'll know by the look of relief that you see on the faces of the new parents when you arrive. Is safe infant sleep information accurate on the internet? Results showed that less than half (43.5%) of the Web sites provided accurate information, 28.1% provided inaccurate information, and 28.4% were not relevant. Accuracy was the highest among government Web sites and organizational Web sites (Web sites ending in “.org”). About 80% of governmental Web sites were accurate and nearly half of all educational websites (those ending in “.edu”) were categorized as accurate. Web sites with the least accurate information were retail product review Web sites, blogs, and individual Web sites. These sites often promoted products not endorsed by the AAP. When possible use government and organization Web sites. Look for the Web site’s sources. Do they provide references or indicate where the information came from? Is it a source you trust? Check to see when the site was last updated. Is it recent information? 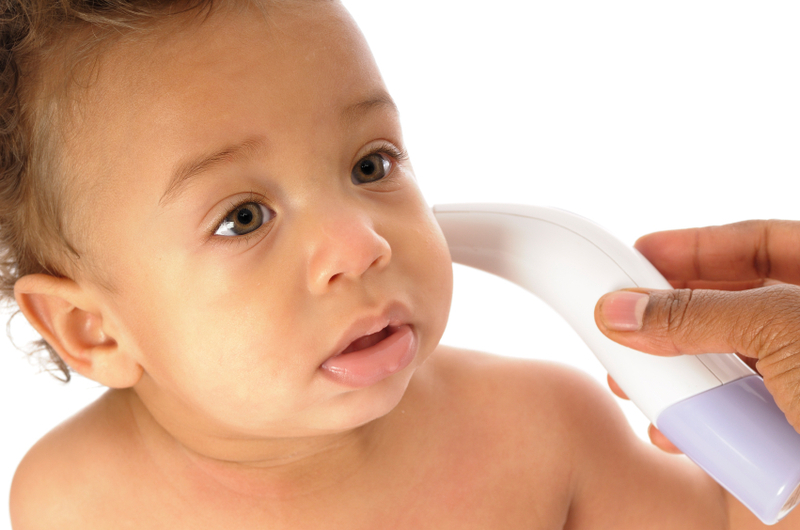 Discuss your questions/concerns with a healthcare professional, such as your baby’s pediatrician. As always, be skeptical. There is a lot of advice out there and you should never do anything that makes you feel uncomfortable. We will always try to bring you the latest information about infant sleep! For links to past posts about safe infant sleep, click here. To view the full AAP report: SIDS and Other Sleep-Related Infant Deaths: Expansion of Recommendations for a Safe Infant Sleeping Environment, click here. The full AAP report: SIDS and Other Sleep-Related Infant Deaths: Expansion of Recommendations for a Safe Infant Sleeping Environment, click here. Over the last few days, you may have seen or heard headlines like Could Antibiotics Be A Factor In Childhood Obesity? and Antibiotics Too Soon May Set Babies Up for Obesity. These headlines are referring to research findings published this week in the International Journal of Obesity. (Trasande 2012) In today’s post, we’ll breakdown the study results and explain what it means for you and your baby. The data in this report were part of the ALSPAC study, a large, long-term health study in the United Kingdom. In the early 1990’s, more than 14,000 pregnant women were recruited and since then, the researchers have been monitoring their children’s health and development. For this report on the relationship between antibiotic use and weight status, the researchers used data from 11,532 children, excluding children who were under 5.5lbs at birth and those without antibiotic exposure data. The researchers were interested at examining how exposure to antibiotics during 3 different age ranges (0-6 months, 6-14 months, and 15-23 months) was related to body mass over the first 7 years of life. They asked the parents of the children about antibiotic exposure in surveys that were mailed to their homes. To determine the children’s weights, the researchers used weight-for-length measurements at at approximately 2, 10, and 20 months of age and Body Mass Index (BMI) at 38 months and 7 years of age. They also considered other factors that could influence weight status and factored those into their analysis to help highlight the relationship between the antibiotic exposure and weight status. About 32% of the children received antibiotics before 6 months of age, increasing to almost 75% by 23 months of age. Children who were never breastfed or had mothers who smoked during the first trimester of pregnancy were more likely to be exposed to antibiotics before 2 years of age. After accounting for other risk factors, children exposed to antibiotics before 6 months of age were 22% more likely to be overweight at 38 months. No consistent association was shown between overweight and antibiotic exposure from 6-14 or 15-23 months. How does exposure increase risk of obesity? Although this study was able to show a relationship between early antibiotic exposure and risk of obesity in a very large group of children, this is one of the first studies to look at this relationship, so more studies are needed to confirm the findings. Furthermore, the study was not set-up to determine why the association exists, so it is not possible to explain how exposure to antibiotics increases obesity risk. Using what is known about how the digestive tract develops and data from studies of antibiotic exposure in farm animals, the authors suggest that it is possible that the antibiotics change how the young infants’ intestines develop, but more research is needed to determine how and why this relationship occurs. What does this mean for you and your baby? While the study findings suggest that babies who are given antibiotics before 6 months have higher risk for overweight, the increased risk is relatively small and the connection between antibiotic exposure and overweight is inconsistent. If other studies confirm this finding, this would mean that early exposure to antibiotics might be a factor (among other factors) contributing to the increases in childhood obesity over the last decade. Since the researchers could not identify why antibiotic use was related to childhood obesity, they don't know if other important things (like why or how long the antibiotics were given) might make a difference. Antibiotics used to be given to babies more often than they are today and your doctor may not think your baby needs them for common illnesses. If your doctor does recommend antibiotics for your baby, take time to discuss your concerns so you can make a decision together that you feel comfortable with. Recently, a reader asked us why her 8-week-old baby was still nursing every 2 hours when her friend's baby (just a couple of weeks older) began nursing every 3 to 4 hours around the same age. Both babies are healthy, nursing well, and gaining the right amount of weight. In this post, we'll share some information about differences in how often moms breastfeed even when babies are the same age and size. Moms vary in how much milk they can "store" in their breasts. The amount is limited by the milk producing structures that are in her breasts after lactation is established. Studies in Australian showed that this "storage capacity" can vary from just under 3 oz to over 20 oz! Moms also can have different storage capacity in one breast versus the other. The fat content and the calorie content of milk also varies from one mom to the next. While the type of fat in mom's milk is affected by diet, the total fat and calories in milk are not. Total milk fat content is related to mom's biology and tends to be the same for all of her children. So, some moms make "2% milk" and some moms make "whole" milk and others are in between. Babies vary in how much milk they need to take each day. Some grow very fast and some a little slower, some healthy babies are very big and others are smaller. The amount of milk that babies can drink all at once also varies quite a bit. While all young babies have tiny stomachs, some are physically able to take more than other babies and others a little less. When moms are responding to their babies' cues when feeding, most babies are good at taking as much milk as they need to get enough calories to be healthy and grow. But, since moms are also part of the picture, babies will differ in how often they need to feed based on mom's storage capacity and the calories in her milk. If a mom has higher fat milk, a big storage capacity, and a baby who can take a lot of milk at once, she can go longer between feeds (like the 3-4 hours for the friend in the story above). But, if she is a mom with a lower storage capacity, lower fat milk, and a smaller baby, she's going to need to feed more often so that her baby gets all the calories she needs (like every 2 hours). As babies get bigger, they will be able to take more milk at once and get closer to moms' capacities. They also build their own "storage" (baby fat) that helps them go longer between feeds. If you are a worrier, you might be thinking that you'll end up with low fat milk and a small capacity combined with a bigger baby who can't take much milk at once. While that is possible, it's not common. Even then, a baby who nurses a lot gets a lot of practice and with a lot of practice, babies get very efficient (and quick) at nursing so the total time spent nursing may not differ much from moms who don't have to nurse as often. R.A. Lawrence. Breastfeeding: A Guide for the Medical Professional. Saunders, 2010. Daly SE, Kent JC, Huynh DQ, Owens RA, Alexander BF, Ng KC, Hartmann PE. The determination of short-term breast volume changes and the rate of synthesis of human milk using computerized breast measurement. Exp Physiol. 1992;77:79-87. In gathering background for a short series on dads, I ran across a paper on a study that focused on dads of breastfed babies. The study included measures of the support and help that the dads had received since they had become fathers. The researchers reported that 83% of the participants reported that they "did not find the help they received in recent weeks to be helpful." Even more, none of the dads in the study reported that the help they received was very helpful. None. While I would hope our readers are getting the help that they need as they learn about their babies and their new roles, I really have no idea. So, I want to ask our dads out there, what kind of help do you most need? What action, knowledge, or support would be most helpful to you? Dealing Realistically with Postpartum Sleep Deprivation Part 2. In our last post, we shared information about why young babies need to wake at night. Of course, if your baby is awake, that means that you are awake too (yes, research studies have actually been done to tell us that). Rather than being frustrated and stressed trying to find ways to get your young baby to sleep longer, we want to encourage you to look at the problem differently and look for ways to cope with having to wake up so much. Since adults’ sleep cycles (including both dreaming and non-dreaming sleep) are about 90 minutes long, new parents have reported feeling more rested when they are able to get 90-minute blocks of uninterrupted sleep several times per day. Focusing on getting these “chunks” of rest may make those first few weeks a little easier. Even if the baby is not cooperating and still feeding every two hours, parents can take turns and trusted friends and family can help make sure the baby is cared for between feedings. So "sleep when the baby sleeps" really is great advice. Right? Well, ok, we know it isn't always that simple. Here's some more research that won't surprise you: many parents don’t “sleep while the baby sleeps” even if they try. Parents have a hard time finding time to sleep, falling asleep, returning to sleep, and staying asleep even though they are exhausted. If you are dealing with any of the following problems, you may be wondering what you can do to get more sleep. Hormone shifts in the first days and weeks after delivery can leave moms feeling hot, cold, exhausted, wired, and moody 24-hours a day. These hormone shifts typically last only a short time and you should start to feel better and be more able to rest after the first couple of weeks. Talk to your doctor if you have any concerns. First-time moms are more likely than experienced moms to suffer from sleep disturbances (including difficulty in falling and staying asleep) because of higher stress levels. 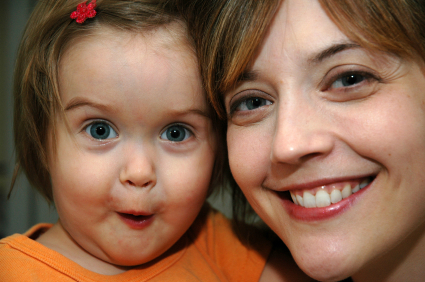 First-time moms are more likely to be nervous and unsure about baby care. New dads worry too. You might find yourself wide awake wondering if you're a good parent. You might even stay awake worrying about getting enough sleep! Talk to your experienced friends and get tips to build your confidence, read this blog, share your concerns with your doctor, partner, and supportive friends and family. When you talk about your feelings, you might find a new perspective and learn that many parents feel the same way.You may find that it helps to follow a short routine and listen to soft music every time that you lay down to rest so those worrisome thoughts don't get a chance to get going. Another common reason that parents said they couldn't get to sleep (when they had the chance) was that they worried about keeping up with household chores and other responsibilities. Some parents reported that they didn't even try to sleep because they were too busy with visitors and housecleaning. I know it is easy for someone like me to say “just let the chores go.” There can be many reasons why that can be very hard to do. But if you can’t let things go, you are going to need some help. You may feel that you should be able to handle it all but that's just not realistic; we are not meant to raise our children alone. Remember that whole “it takes a village” thing? It’s true. We have some posts to help you arrange to get some help when you need it. If you are ok with letting things go (and we hope that you are), just make sure the chores get done that are directly related to safety (you don’t want to trip and fall or give yourself food poisoning). Believe us, we know what it is like to be in that early postpartum fog. We hope that these tips help you to get through it. Remember, more sleep is just a few weeks or months away. 1. McQueen A, Mander R. Tiredness and fatigue in the postnatal period. J Adv Nurs 2003; 42: 463-469. 3. Insana SP, Montgomery-Downs HE. Sleep and sleepiness among first-time postpartum parents: A field- and laboratory-based multimethod assessment. Dev Psychobiol. 2012 May 2. doi: 10.1002/dev.21040. 4. Hunter LP, Rychnovsky JD, Yount SM. A selective review of maternal sleep characteristics in the postpartum period. J Obstet Gynecol Neonatal Nurs. 2009;38(1):60-8. This week, we passed another milestone. 750,000 pageviews! How cool is that?! Thanks so much to all of our new and loyal (never old) readers! Over the last 3 years, some of our most popular posts have been related to infant sleep and many of our new readers find us when they are searching for reasons why their babies are still waking (particularly at 6 weeks). We know you’re tired; we know babies take a long time to sleep "through the night." To make things worse, there are more news reports every day about the negative effects of losing sleep. What are new parents supposed to do? In today’s post, we’ll talk about the science and realities of sleep deprivation in the first 6 months postpartum and next time, we’ll share some ideas about coping with this inevitable challenge. We’ve already written quite a bit about how babies’ sleep patterns change over time and the reasons why babies need to wake, especially early on. The bottom line is that young babies need to wake to eat frequently enough to grow well and to ensure that they get the care they need (to be warm, clean, etc.). The first 6 weeks are especially brutal because newborns don’t have the hormones in place to know night from day, so they wake (literally) at all hours. Of course, babies differ a great deal in how much sleep they need but many babies take at least 6 months before they are sleeping 6 hours most nights. If you are still reading because you think I’m going to tell you the “secret” of getting your baby to sleep longer, you’re reading the wrong blog. There isn’t a safe way to make your baby sleep longer until he is ready (remember we are talking about young babies here). This post is about your real challenge – you have a baby that needs to wake up but you have a life, responsibilities… and besides, being sleep deprived makes you feel awful! While both babies and parents move through different types of sleep in "cycles," the cycles differ in some important ways. Both adult and babies' sleep cycles include periodic dreaming (light sleep) and time without dreaming (deep sleep) but they differ in the timing and duration of each of these types of sleep. Babies waking up at all hours can leave parents without the REM (dreaming) sleep they need for normal brain function and the non-REM sleep they need to feel refreshed. Next time, we’ll share some ideas on how to get around these barriers and get more “quality” sleep even if the quantity is still a few weeks or months away. Hunter LP, Rychnovsky JD, Yount SM.A selective review of maternal sleep characteristics in the postpartum period. J Obstet Gynecol Neonatal Nurs. 2009 38:60-8. Soledad Coo Calcagni, Bei Bei, Jeannette Milgrom & John Trinder. The Relationship Between Sleep and Mood in First-Time and Experienced Mothers, Behavioral Sleep Medicine. 2012 10:3, 167-179.